Ex-judge of the Supreme Court and former Chairman of the Press Council of India, Justice Markandeya Katju has moved the Supreme Court through a writ petition seeking quashing of the Resolutions dated 11.03.2015 & 12.03.2015 passed by the Rajya Sabha & the Lok Sabha respectively condemning his comments on Mahatma Gandhi and Netaji Subash Chandra Bose, claiming that Parliament lacks the competence and authority to pass the impugned Resolutions condemning the act of the Petitioner. Justice Katju has contended in his petition that the rule against passage of a resolution against the conduct or character of a private individual is present because the Houses of Parliament ought not to be concerned with the conduct or comment of individuals, and that this rule further implies that despite this embargo, in case such a resolution in relation to conduct or comment of a private individual is sought to be passed, such a private individual is at least put to notice and heard. Justice Katju had posted in his face book page and blog in March earlier this year that “Gandhi was objectively a British agent who did great harm to India," and “by constantly injecting religion into politics continuously for several decades, Gandhi furthered the British policy of divide and rule." He said Gandhi "successfully diverted the freedom struggle from this revolutionary direction to a harmless nonsensical channel called Satyagrah." Justice Katju had also described Netaji as a "Japanese agent" in his blog site and said, "In fact Bose was being used by the Japanese, and they would have bumped him off the moment his utility for them was over. He was no doubt a brave and personally honest man, but he had become an agent of Japanese fascism." 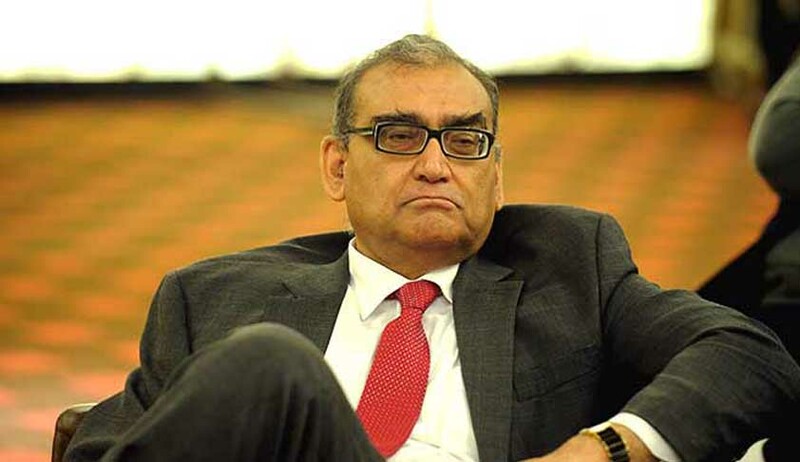 The said statements of Justice Katju were roundly denounced by members of both the Houses of Parliament cutting across political divide. .
"This House expresses its unequivocal condemnation of the recent remarks of the former judge of the Supreme Court, Shri Justice Markandey Katju, against the Father of the Nation Mahatma Gandhi and Netaji Subhash Chandra Bose who led the Indian National Army for the freedom of the country," read the resolution, read out by Chairman Hamid Ansari in the Rajya Sabha on March 11, 2015. Justice Katju has challenged the said Resolutions passed by Parliament in the Supreme Court on the ground that the impugned Resolutions do not fulfil the jurisdictional requirement, and the necessary jurisdictional facts are lacking. “The present case is not a case of mere procedural irregularity. Further, whether or not the Petitioner’s statement are deplorable or condemnable can only be judged by bodies performing judicial function and cannot be decided by the Lok Sabha or the Rajya Sabha,” the petitioner contends. Justice Katju elaborating on his argument that the jurisdictional requirements are not met in his case avers in his writ petition filed under Article 32 of the Constitution that the said resolutions passed by the Rajya Sabha & the Lok Sabha are in violation of the Rules for Procedure and Business framed by both the houses of Parliament under Article 118 of the Constitution. Justice Katju has further averred in his writ petition that the Speaker of the Lok Sabha and the Chairman of the Rajya Sabha are not competent to take cognizance of the expressions of free speech of the private person like the Petitioner, as the power under Rule 171 of the Lok Sabha Rules provides that the Resolution must relate to act of Government. In any event, the Houses of the Parliament ought not to take cognizance of academic discussions or seeds of academic discussions in public about issues confronting India’s history. Rule 172 of the Rules of Procedure and Conduct of Lok Sabha only permits resolution in the matter of ‘general public interest’ and the works of the Petitioner reflected in the posts relate to his academic analysis which are not of general public interest. On these and other grounds, Justice Katju has sought the quashing the Impugned Resolutions in respect of the Petitioner passed by the Lok Sabha on 12.3.2015 and the Rajya Sabha on 11.3.2015, and in the alternative, for a direction from the court to the Speaker of the Lok Sabha and Chairman of the Rajya Sabha to give the Petitioner a post decisional hearing either himself or through his duly designated lawyer(s).